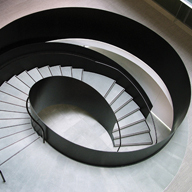 Canal Engineering has fabricated a feature helical staircase for a large residential building in London. 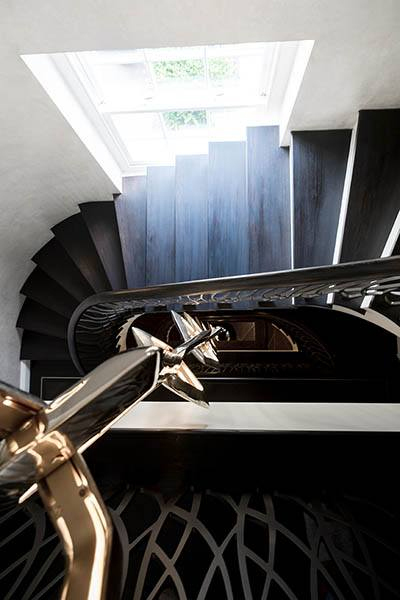 The staircase incorporated a range of finishes to compliment the surrounding of the classical interior. 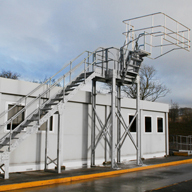 The helical structure was constructed from solid mild steel which was wet strayed on site during installation with an off-white finish. Hand crafted solid oak treads were installed onto each step whilst offering a durable and tactile surface undercoat. 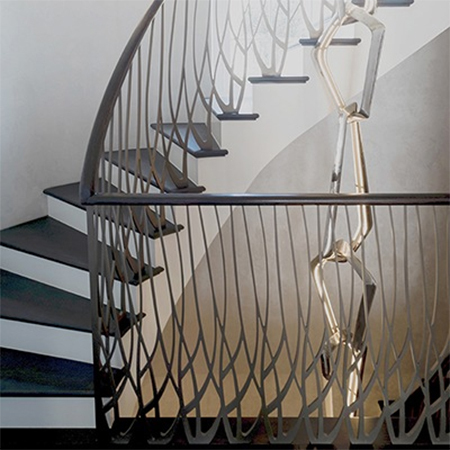 Each balustrade was laser cut from 15mm mild steel to achieve the ornate bespoke balustrade design. 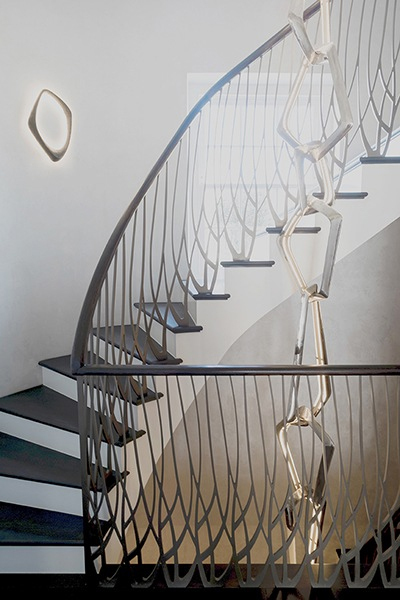 The balustrades perfectly combined functionality with style whilst allowing light to shine through the intricate pattern. 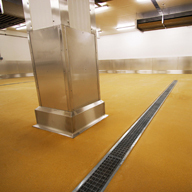 To create a seamless and durable finish, the balustrade was then powder coating in bronze. 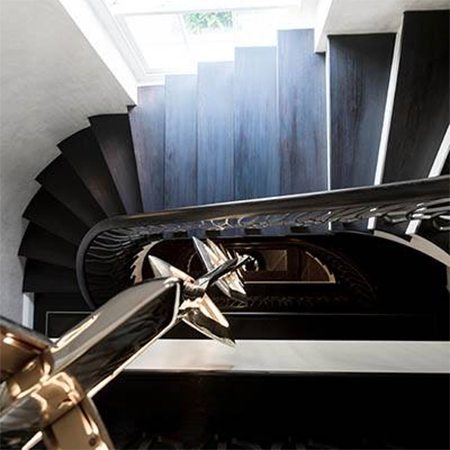 The staircase was then finished with a stainless steel handrail that was then wrapped and hand stitched with leather.